On Sunday, March 17, 2019 Skookum gets attention to a froblem with her valve gear in Garibaldi, Oregon. The Oregon Coast Scenic Railroad (OCSR) is a steam-powered heritage railroad, a 501(c)(3) non-profit organization, operating in Oregon, primarily between Garibaldi and Rockaway Beach, with additional special trips to Wheeler, Nehalem River and into the Salmonberry River canyon. The railroad travels on tracks that pass along the edge of Tillamook Bay and the Oregon Coast, and through thick forest along the Nehalem River. 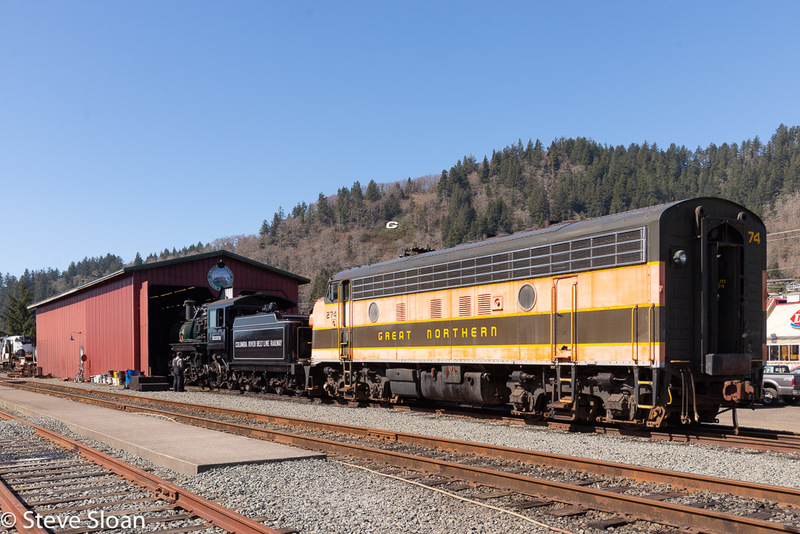 The OCSR runs its collection of vintage rail equipment over 46 miles (74 km) of former Southern Pacific Transportation Company track under a lease from the Port of Tillamook Bay Railroad (POTB), an entity distinct from the OCSR. The engine is the former Whitney Company 2-4-4-2 “Skookum” built by Baldwin in 1909, builders number 33463. Built for the Little River Railroad (Tennessee) No. 126, later Deep River Logging Co. #7, also known as The Skookum. She was the first of Baldwin’s logging mallets. In 1960, Skookum was raised from her grave piece by piece and trucked to a railroad museum in Snoqualmie, Washington. After passing through several hands and failed attempts to rebuild her, she finally ended up at the Oregon Coast Scenic Railroad. 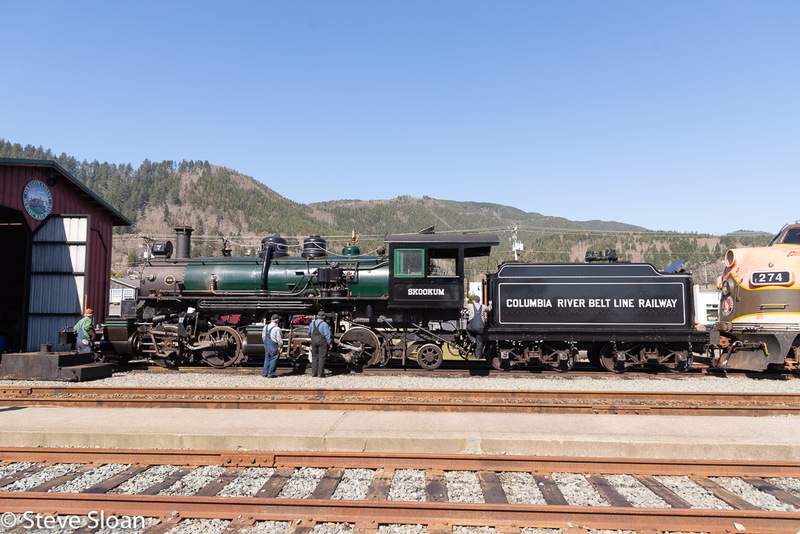 On Sunday, March 17, 2019, Oregon Coast Scenic Railroad (OCSR) 7 Skookum gets attention to a problem with her valve gear in Garibaldi, Oregon.